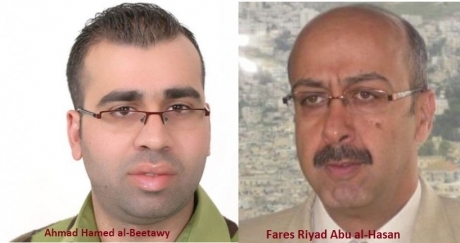 The Solidarity Foundation for Human Rights (SFHR) has reported that Israeli soldiers kidnapped, on Tuesday at dawn, its lawyer and its researcher, after the army violently invaded their homes in the northern West Bank city of Nablus. The foundation said dozens of soldiers invaded the home of SFHR lawyer Abu al-Hasan, in the Rojeeb Housing Projects area, east of Nablus, and kidnapped him after violently searching his home causing property damage. Soldiers detonated the door of Abu al-Hasan’s home, invading the place and terrifying the family. They also interrogated Abu al-Hasan’s father for more than an hour, and confiscated documents and files. Abu al-Hasan was moved to the Petah Tikva interrogation facility. It added that the soldiers also broke into several nearby homes, violently searched them and ransacked their property and belongings, and used their rooftops as monitoring towers during the invasion. Meanwhile, soldiers also detonated the front door of the home of SFHR researcher Ahmad al-Beetawy, and invaded the property in the Dahia area, south of Nablus, searched it for more than an hour and kidnapped him. His brother said the soldiers also invaded the home of their mother, in the same neighborhood, and violently searched it. 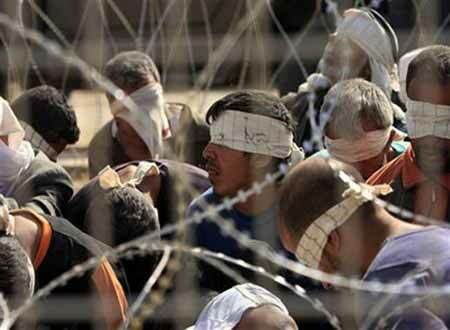 Al-Beetway defends the rights of Palestinian political prisoners, illegally held by Israel. The foundation said that the soldiers also invaded its office in al-Isra’ building, in the center of Nablus city, and confiscated computers and files after violently searching the property. Jerusalem – A video, captured by Rami Alarya of the Alqods Independent Media Center, showed a number of Israeli soldiers assaulting a Palestinian child, on Friday evening, February 4 2014, after shooting him by a rubber-coated metal bullet in the leg, and photographing themselves abusing him. The soldiers assaulted the child during clashes that took place in the al-Ezariyya town, east of occupied East Jerusalem. Medical sources said the soldiers shot the child, Yassin al-Karaky, 13 years of age, with a rubber-coated metal bullet, which hit the 13-year old in the leg. After he fell, the soldiers began assaulting and abusing him. Then several soldiers attacked and assaulting the wounded child before kidnapping him. The soldiers took pictures of themselves with the wounded child, and a soldier picked up a Molotov cocktail from the ground, while the child shouted in Hebrew, “it’s not mine, it’s not mine”, and a soldier responded, “it’s yours, it’s Ok… it’s yours”. One of the soldiers was holding him in a choke-hold, and was mocking the child by imitating wrestling moves while other soldiers took pictures, although the child was barely able to breathe. Palestinian medical sources have reported that an elderly Palestinian man was seriously injured after being hit by a settler’s vehicle in Al-Fondoq village, east of Qalqilia, in the northern part of the West Bank on Wednesday. The Palestinian Police said that a speeding settler driving a Toyota Corolla hit Abdul-Hafith Mohammad Tayyem, in his sixties. The settler, who fled the scene, was driving in the center of the Palestinian village. Palestinian medical sources said that Tayyem was moved to an Israeli hospital due to the seriousness of his condition. There have been dozens of similar incidents that have led to serious injuries and fatalities, in different part of the occupied West Bank, including in occupied East Jerusalem. On Sunday evening [September 29, 2013] a Palestinian worker was injured after being rammed by a settler’s vehicle, near Husan town, west of the West Bank city of Bethlehem. A week before the incident took place, Palestinian child was seriously injured after being hit by a settlers’ vehicle as she was walking home from school in Teqoua’ village, near the West Bank city of Bethlehem. The child Hayat Mohammad Suleiman, 8 years of age, was walking back home from school on the main road that is also used by Israeli settlers living in illegal Israeli settlements in the area. The Palestinian Ministry of Education, under the Hamas-led government in the Gaza Strip, denied reports claiming that the Islamic Resistance Movement (Hamas) and its government ever prevented Muslim students from attending Christian schools in the coastal region. The Ministry issued a press release [Monday June 17 2013] stating that such a claimed decision was never made, and that students have the right to choose any school they deem fit. The statement came after an Israeli news agency claimed that Hamas is preventing Muslim students from attending Christian school in Gaza. An official at the Ministry of Education in Gaza stated that the government supports all schools, including Christian schools, and does not differentiate between them. The official added that Christian schools in Gaza are an important aspect of the social fabric, and that all Christians in Gaza are an integral part of the Palestinian society. “What the Israeli agency claimed it’s a baseless lie”, he said, “a lie that aims at creating tension between Muslims and Christians in the Gaza Strip”. Sunday May 26 2013; Palestinian medical sources in Hebron, in the southern part of the occupied West Bank, have reported that a 7-year old child was injured after being rammed by a settler’s vehicle in the city. The sources said that Bayan Kamel Shatat, 7, suffered moderate injuries and was moved to the Hebron governmental hospital. Rateb Jabour, coordinator of the Popular Committee Against the Wall and Settlements in Hebron, said that the child is a first grade student, and that she was returning home from school. The settler fled the scene after the incident. On Wednesday May 22, a 9-year-old child was seriously injured after being rammed by a settler’s car in the As-Salayma neighborhood, east of the Ibrahimi Mosque, in Hebron city. On the same day, a 16-year-old child identified as Marwan Zakariyya ‘As’ous, suffered serious injuries and was moved to the Rafidia Hospital, after being rammed by a settler’s car at the Beta Junction, south of Nablus. There have been numerous similar incidents in Hebron and other parts of the West Bank, and despite repeated claims filed to the Israeli Police, no actual and effective measure were taken against the assailants. Israeli soldiers invaded, on Thursday morning, the Barta’a village, near the northern West Bank city of Jenin, declared the village a closed military zone, and demolished 12 shops. Ghassan Qabha, head of the Barta’a village council, reported that the army invaded the village after sealing all of its entrances, declared it a closed military zone and demolished the twelve structures. Qabha added that 120 Palestinians work in the demolished buildings, and that most of them are the sole breadwinners in their families. Furthermore, soldiers handed military orders to eight shop owners informing them the army will be demolishing their shops under the pretext that they were built without construction permits. Qabha strongly denounced the Israeli attack, and said that the ongoing violations and assaults against the villagers aim at forcing them out of their village that became isolated and surrounded by Israel’s Annexation Wall and its illegal settlements. A report written by Israeli Journalist, Gideon Levi, and published by Haaretz Hebrew Language daily, accuses the Israeli military of deliberately executing two Palestinians, who were recently shot by the army at the Ennab roadblock, east of Anabta near the northern West Bank city of Tulkarem. The two Palestinians, identified as Naji Al-Balbisi, 18, and Amer Ibrahim Nassar, 17, were shot by several rounds of live ammunition from a close range. At least four Palestinians have been injured. Levy said that “on the eve on Wednesday April 3rd, and under the military monitoring tower, near the entrance of Tulkarem, an execution took place…. There can be no other words to describe what happened there, when four Palestinians walked towards the roadblock and the soldiers kept monitoring them, until they were nearly 2 kilometers away”. 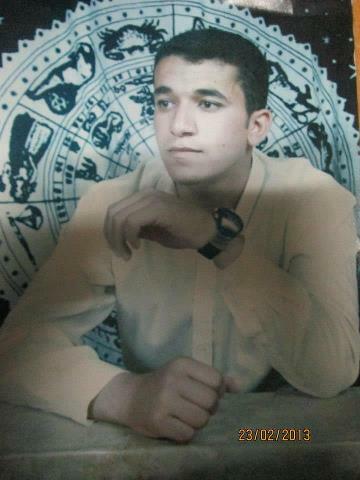 “The soldiers monitored the Palestinians approaching, and repeatedly trying to light their Molotov cocktails, but they [the soldiers] did not do anything to stop them, the Palestinians then hurled their cocktails at the concrete wall of the military tower,” they were participating in clashes that took place after detainee Maisara Abu Hamdiyya died on April 2nd an advanced stage of cancer resulting from the lack of medical attention in Israeli prisons. Abu Hamdiyya is from the West Bank city of Hebron. Levy added that two soldiers then fired rounds of live ammunition killing Amer Nassar, while Dia’ Nassar was kidnapped. Another Palestinian, identified as Fadi Abu Asal, was injured and was kidnapped a few days later. “The soldiers then started chasing Naji Al-Balbeesy, who ran to the yard of a nearby leather factory. Soldiers approached him, opened fire at him from a very close range, and executed him”, Levy said, “This happened despite the fact that the soldiers, fortifying themselves in the monitoring tower, were never in any real danger”. The Israeli journalist said that the slain Palestinians did not deserve to die, especially since they ran away, “but a soldier, or two, decided to teach Al-Balbeesy a lesson, by executing him”. The Milad News Agency reported. Following the death of Abu Hamdiyya, dozens of Palestinians, including children, have been shot and wounded by Israeli military fire during clashes that took place with the army, while several Palestinians have been killed and dozens, including several children, have been kidnapped. Attorney Kamil Sabbagh, who represented detainee Arafat Jaradat, who died Saturday at an Israeli interrogation facility, stated that Jaradat complained to him of sharp pain due to ongoing and extensive interrogation. The lawyer said that he represented Jaradat during a court session that was held Thursday February 21. During the court hearing, the judge ordered Jaradat under interrogation for an additional 12 days. Following the death of Jaradat on Saturday, several Israeli media agencies claimed that the detainee suffered a heart attack that led to his death. 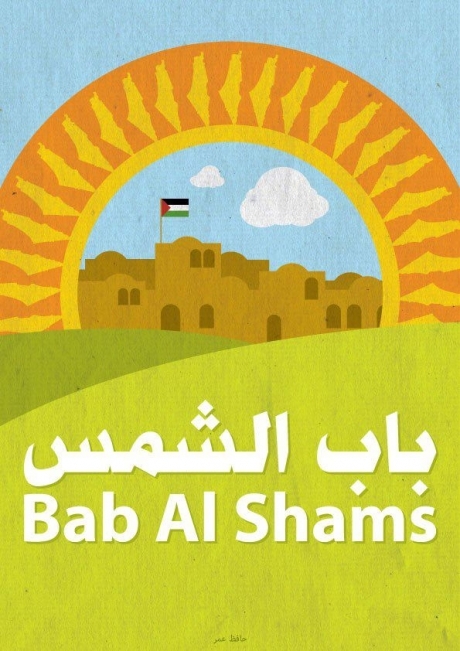 Dozens of Israeli soldiers and policemen are surrounding the new Palestinian village, Bab Al-Shams, preparing to evict and remove the newly installed Palestinian outpost, set-up on Palestinian lands east of occupied East Jerusalem. The army declared the area as a “closed military zone”, and prevented dozens of activists and residents from reaching it, before handing the Palestinians at the outpost a military order demanding them to remove their outpost and leave the area. Abdullah Abu Rahma, an activist of the Popular Committee Against the Wall and Settlements in Bil’in village near the central West bank city of Ramallah, stated that the soldiers said that they will use force should the activists refuse to leave the area. Abu Rahma added that dozens of Israeli soldiers and policemen were deployed in the area, and appear to be preparing to remove it. “We have nothing but our will and determination, it will not be easy to remove us, we will use our expertise and abilities to remain steadfast”, Abu Rahma said, “It will take at least 800 soldiers to remove the 200 activists currently camping here”. The activist spent a cold night in the new village, but remained there despite the lack of sheets and warm covers, while several activists burnt some wood to provide as much heat as possible. One of the activists told the Maan News Agency that despite the cold, “the general atmosphere is pleasant due to the presence of committed activists and friends”. “We are here enjoying the magnificent view of hills and mountains, close to Jerusalem”, the activist said, “It’s cold, the tents can’t prevent the cold, but we are here to stay”.